Our New Show Premieres Monday! Room Two Productions is proud to announce the premiere of our new show: Give God Glory! 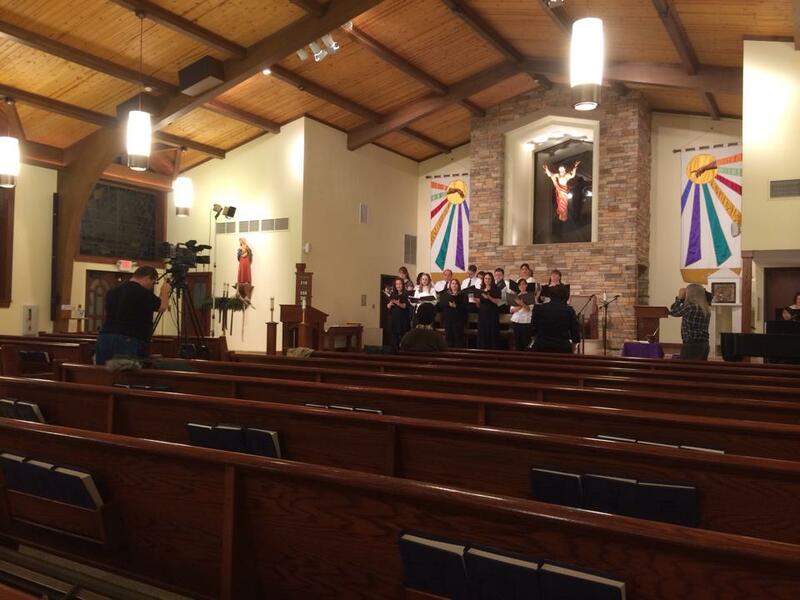 Showcasing church choirs in the local area, this program will air on Comcast channel 28 in Burlington County’s River Towns each Monday at 6:30 and Friday at 7. The first episode of Give God Glory features the Festival of Lessons and Carols, held annually at St. Charles Borromeo Roman Catholic Church in Cinnaminson, NJ. The Festival of Lessons and Carols is a service of Scripture and song that dates to the late 19th century. Led by a choir and orchestra of parishioners, high school and elementary students and friends of many faiths and directed by Mrs. Peg Smith, this service will take place at 7:30 PM on Friday, December 20. Room Two Productions attended a recent rehearsal to film a preview of this special event. Don’t miss this opportunity to prepare your heart for Christmas. Want to learn more about Give God Glory? Contact us via email or call (856) 461-4281.